Cinematic C&N (Country & Northern) goes Pacific as West Norway chapel grooves encounter Polynesian-influenced steel and slide featuring the amazing Geir Sundstøl on pedal steel. On the guitarist and composer Trond Kallevåg Hansen’s inspired and inspiring Hubro debut, edgily ambient and cinematic atmospherics meet front-porch picking from a super-sensitive folk and jazz inspired ensemble given serious twang by the legendary Geir Sundstøl on slide and pedal steel. Perfectly formed ear-worm melodies are stretched and bent into new improvised shapes as electric and acoustic instruments weave decorously in and out of each other’s orbits, accompanied by startling solo preludes or intersecting excerpts of experimental field recordings or found sound. The spacious music wears its influences on its sleeve – there’s Ry Cooder in there, Ennio Morricone, too, and an echo of Geir Sundstøl’s own recent solo masterwork, ‘Brødlos’, whose recording venue of Studio Intim (Sundstøl’s home-studio in Oslo) ‘Bedehus & Hawaii’ shared – but there’s no straining for effect. Everything seems to fall quite naturally into place, sounding intimately poised and at home with itself. 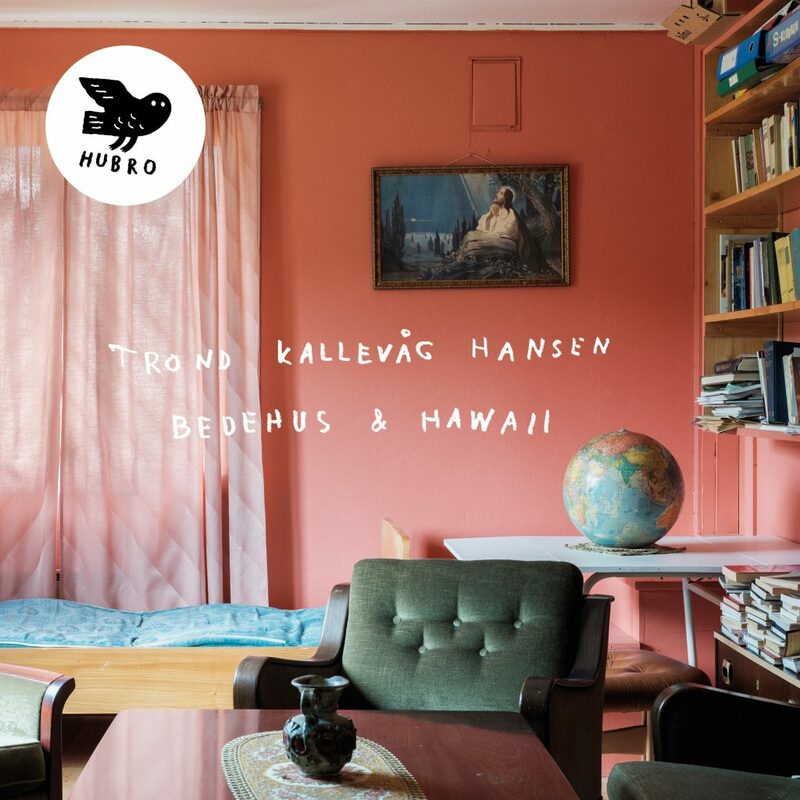 Whatever the musical references, and however long you might take to enumerate the album’s various strengths, and those of Trond Kallevåg Hansen as writer, player and producer – and ‘Bedehus & Hawaii is so good that you can continue doing this for quite a while – you might still question exactly what makes it so special. For deep in the core of the album’s unusually compulsive appeal is a poetic sense of place and a very specific audio landscape. Here, as reflected in the title (a Bedehus is a local prayer-house or chapel), west Norway somehow meets the south Pacific, and humble chapel traditions – of music and much else – rub up against what might be termed Polynesian gospel-swing. There are so many contrasts and concordances here – between different geographical and musical climates, between north and south, sound and music, acoustic and electric, composition and improv, figure and ground, sacred and secular, sea and shore – that the music carries an ever-present sense of tension and release, pushing each tune forward as if it’s dancing on the balls of its feet.